For farmers like Paul Bett Shangai, successful maize farming is essential to a secured livelihood. 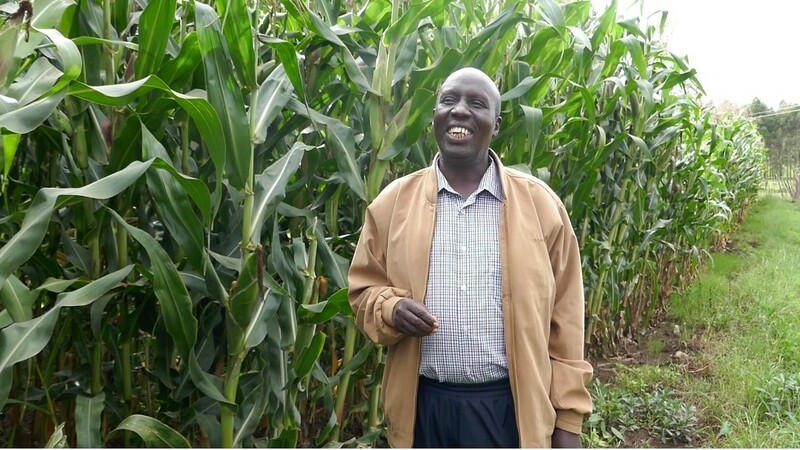 He and his family live in Uasin Gishu county, Kenya, where he grows maize to sell to the Kenyan Cereal Board. However, despite frequently applying fertilizers to his crops, Paul noticed that there had been a serious decline in his maize production over the past decade. Without any means of testing the quality of the soil on his land, he was forced to carry on farming without being able to understand the source of the issue. That is, until he spoke to Tarakwo Dairy. 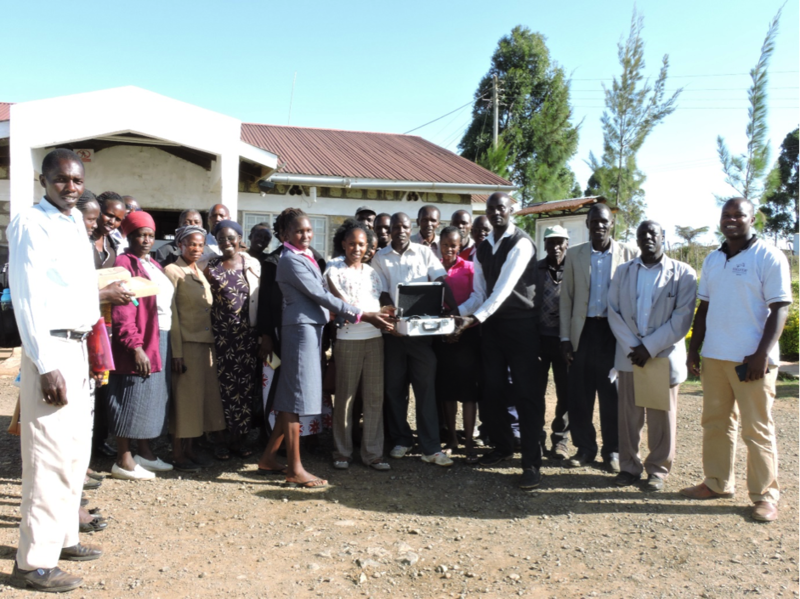 Tarakwo Dairy is an agricultural cooperative based in nearby Eldoret, Kenya that works with their members and other local farmers to promote healthy and successful farming practices. Recently, Tarakwo Dairy purchased the SoilCares Scanner, which analyzes soil samples to find nutrient deficiencies and imbalances. Once Paul reached out, Tarakwo’s extension officer stopped by to test his land—and within 15 minutes of sample collection, Paul understood exactly how he needed to treat his soil to produce more high-quality crops. Thanks to Tarakwo Dairy and the SoilCares Scanner, Paul is expecting a yield of over 300 bags of maize this year alone—more than twice of what he produced last year. How does this relate to cocoa production? The SoilCares Scanner used by Paul Shangai isn’t limited exclusively to maize farming. Like any crop, healthy and sustainable cocoa farming also depends on nutritionally balanced soil to grow. However, in land that has been used for farming for years—perhaps even generations—those essential nutrients are slowly removed from the soil without being sufficiently replenished. 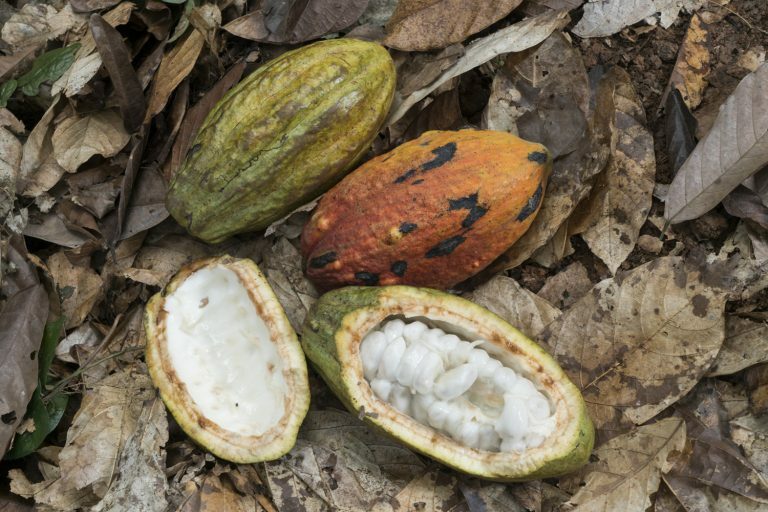 For each ton of dry cocoa produced, the soil loses roughly 35 kilograms of nitrogen, 5 kilograms of phosphorous, and 50 kilograms of potassium. And as Paul experienced firsthand, simply applying fertilizer is typically not enough to fully rebalance the soil. To restore nutrients to over-farmed soil and create a solid base for healthier farming practices, it’s crucial for farmers to understand the composition of the ground. The scientists behind SoilCares applies the “4R Strategy” to help: the right amount, right timing, right type, and right placement of fertilization are the fundamental aspects of soil restoration. 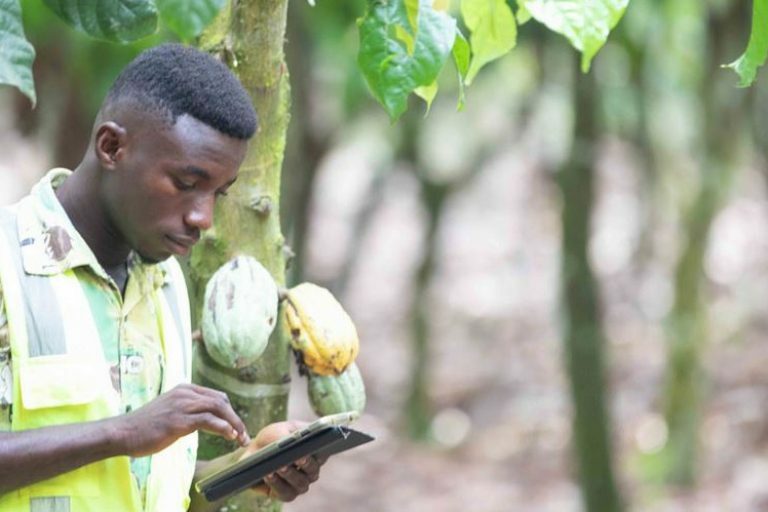 Cocoa farmers who understand the composition of their soil are then better positioned to properly maintain it, ultimately to improve yields and ensure a more sustainable future. Proper soil care also allows farmers to diversify their crops more effectively. 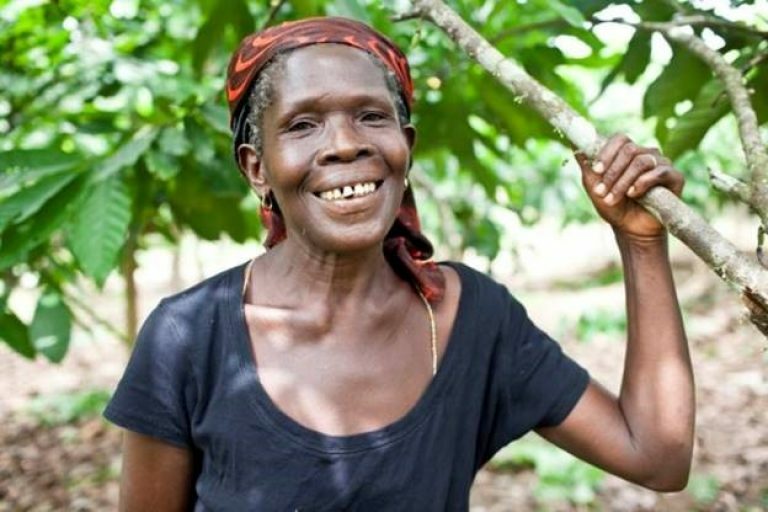 Farmers and communities that rely on only one crop, such as cocoa, are significantly more vulnerable than those that grow many crops—a single disease or pest could destroy their entire yield for that year. With rich and healthy soil, farmers can determine which other crops are also most fit for the environment to ultimately diversify their product and protect their livelihoods. Using the new SoilCares Scanner, cocoa farmers are easily able to determine the quality and contents of their soil. Specifically, the Scanner measures levels of nitrogen, potassium, phosphorus, pH, organic matter, and CEC (cation-exchange capacity, or how well the soil can retain nutrients and protect against acidification). 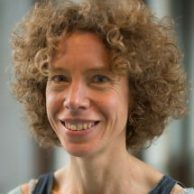 Instead of hoping that generic fertilizer will solve the issue, farmers will be able to target the specific weaknesses in their soil to produce a stronger yield in the long-term. Currently, SoilCares Scanners are being used in more than 15 countries worldwide by farmers like Paul. 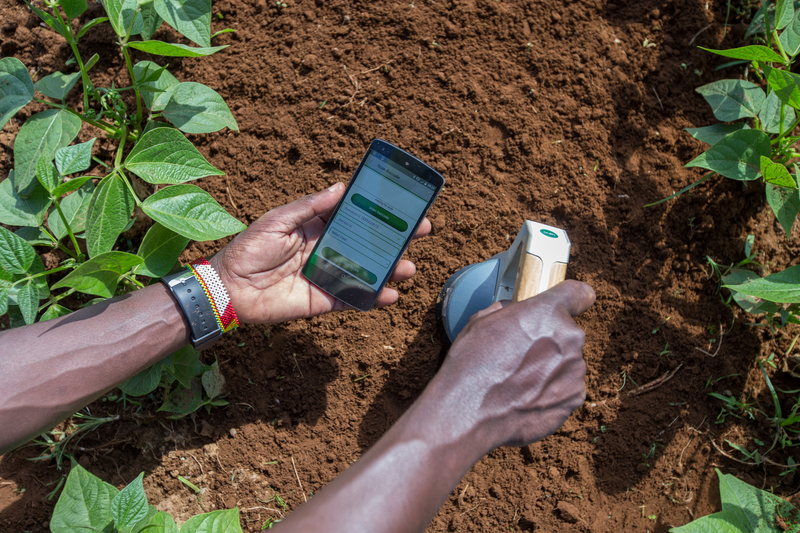 The technology is fast and easy to use, producing a comprehensive report in just 10 minutes so that farmers can optimize their fertilizer use almost immediately. The data report also provides a customized fertilization plan, so that farmers can simply follow along instead of trying to interpret the data for themselves.